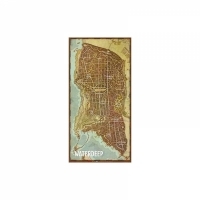 D&D/RPG: Waterdeep Vinyl Game Mat 20" x 40"
This mat is designed for use during adventures in Dragon Heist, or any campaig.. 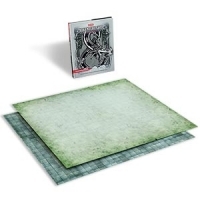 This sturdy, double-sided, grid-lined play surface puts players into the thick..
Tiles to make fantastic city maps: contains 16 durable, double-sided, fully il..
Tiles to make fantastic dungeon maps: contains 16 durable, double-sided, fully..
Tiles to make fantastic wilderness maps: contains 16 durable, double-sided, fu.. 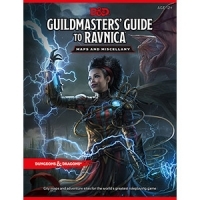 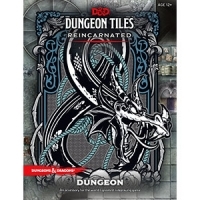 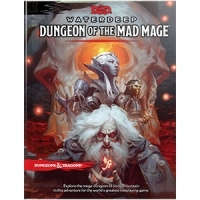 In the city of Waterdeep rests a tavern called the Yawning Portal, named after..
Bring your Dungeons & Dragons game to life with this collection of twenty beau..